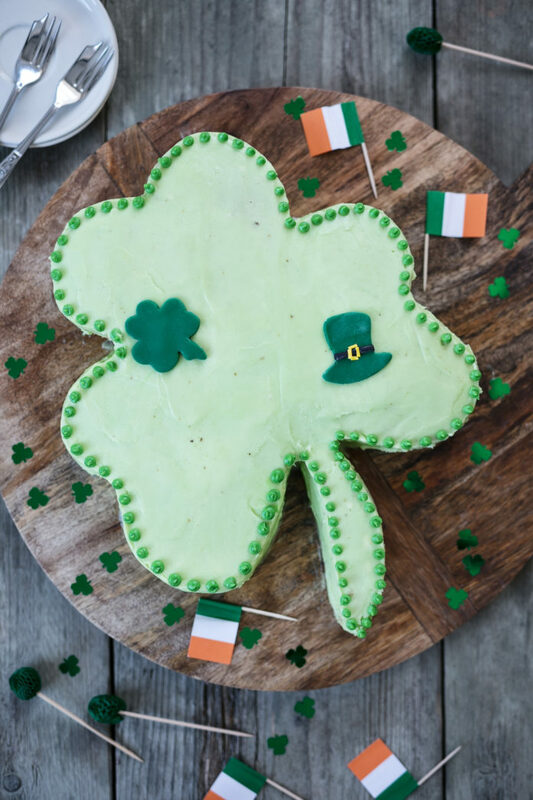 Celebrate St. Patrick’s Day the right way with Siúcra x Catherine Fulvio’s delicious lemon and lime Shamrock St. Patrick’s Day Cake! This perfect companion to the celebratory day helps get the festivities off to a great start, with it’s refreshing lemon curd, and punchy lime buttercream. Topped with some festive decorations, this is sure to be a show stopping dessert! Place all the ingredients into a saucepan over a low heat and stir most of the time until a thick curd forms. Preheat the oven to 180°C/Fan160°C/gas 4. Brush 3 x 18cm cake tins with melted butter and dust with flour. Cream the Siúcra Caster Sugar and butter until light and fluffy. Whisk in the beaten eggs one at a time. Spoon the mixture into the 3 cake tins and bake for about 20 to 22 minutes or until golden and when a skewer is inserted into the middle it comes out clean. Place the butter, Siúcra Icing Sugar and lime juice together and whisk until smooth, light and fluffy. Retain 5 generous table spoonful’s of buttercream to pipe around the edge and for sandwiching together. Add green colouring to the rest and whisk again until you’ve reached the colour you want. Place the heart shape template onto a cake and cut the shape. Slice the cake in half and repeat for the two remaining cakes. Spread some curd on one cake half and butter cream on the other and sandwich them together. Use a trimmed piece of cake as the shamrock stem. Spread butter cream over the top and sides of the cake. 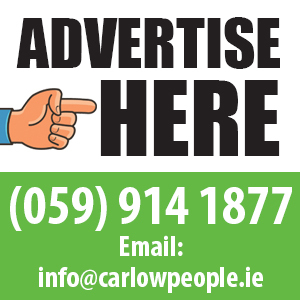 Colour a piece of Siúcra roll out – one green and a small piece, black. Using the green roll out, cut out small shamrocks and shape a leprechaun’s hat and trim with black rollout icing, place on the sides and top of the cake. Spoon the white buttercream into a piping bag with a nozzle and pipe around the cake. Secure a piece of ribbon around the board.